Menzies Advisory is a boutique firm based in South Melbourne, Brisbane and Southport specialising in all corporate insolvency appointments. 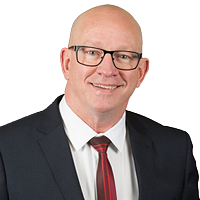 Founder Michael Caspaney is a Registered Liquidator with more than 38 years commercial experience. His time in industry and commerce means he has a practical and pragmatic approach and his preferred lawyers are willing to investigate issues on a no win no fee basis, allowing for extensive opportunities for recoveries.